The 16-24 age group has been dubbed "digital natives"
A survey of 16 to 24 year olds has found that 75% of them feel they "couldn't live" without the internet. The report, published by online charity YouthNet, also found that four out of five young people used the web to look for advice. About one third added that they felt no need to talk to a person face to face about their problems because of the resources available online. The findings were unveiled at the Houses of Parliament on Wednesday. Despite high-profile examples of internet security breaches, such as the recent incident of phishing email scams, 76% of the survey group thought the internet was a safe place "as long as you know what you're doing". "Probably the middle-aged are the most vulnerable," said Open University psychologist Graham Jones. "I think children, teenagers and people under their mid-20s have grown up with technology and they understand it deeply," he said. Charlie McDonnell is a 19 year old video blogger on YouTube - With 200,000 subscribers and more than 20 million hits overall, he is the third most subscribed to on the site. He started in April 2007 while "procrastinating over exam revision". 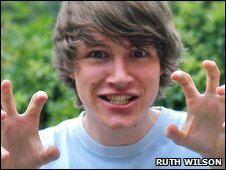 He amassed around 150 viewers until he made a tongue-in-cheek film called "how to get featured on Youtube". His mother had no interest in the internet until he got started. Now he has shown her everything and she uses his hand-me-down old kit to make her own Youtube video logs. His use of the net illustrates how sophisticated young consumers are. "I never really look for news, I find out about stuff that interests me from blogs. I use them as a filter to find news that I find interesting. Twitter's not very accurate - it's one person saying they saw something on one website - but it's good for getting information straight away," he said. Mr Jones thinks it is the parents who need to become more sophisticated. "One of the biggest problems for children is not that they are vulnerable but that their parents don't know what they're doing," he said. It is a point Mr McDonnell agrees with. "It's important that parents have full understanding of the internet and its risks - younger people need parental direction," he said. The survey, funded by the Nominet Trust - a charity that encourages the safe use of the internet - looked at how the web influences the well-being of people aged between 16 and 24. 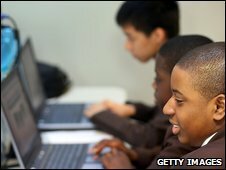 Its author, Professor Michael Hulme of Lancaster University, names this age group "digital natives" as they have grown up in an environment rich with computer and mobile technology. "For young people the internet is part of the fabric of their world and does not exist in isolation from the physical world," he said. Youthnet, set up by the broadcaster Martyn Lewis in 1995, runs websites offering advice, information and volunteering opportunities to young people. "The need for a safer, trusted [online] place has never been greater," said Fiona Dawes, Youthnet's chief executive. "Youthnet will be taking the insights of this report to heart as we plan the future of our services." Can the internet cure insomnia?